For starters, the writers proclaim: "Arkansas has been called the epicenter of duck hunting in America, and for good reason!" 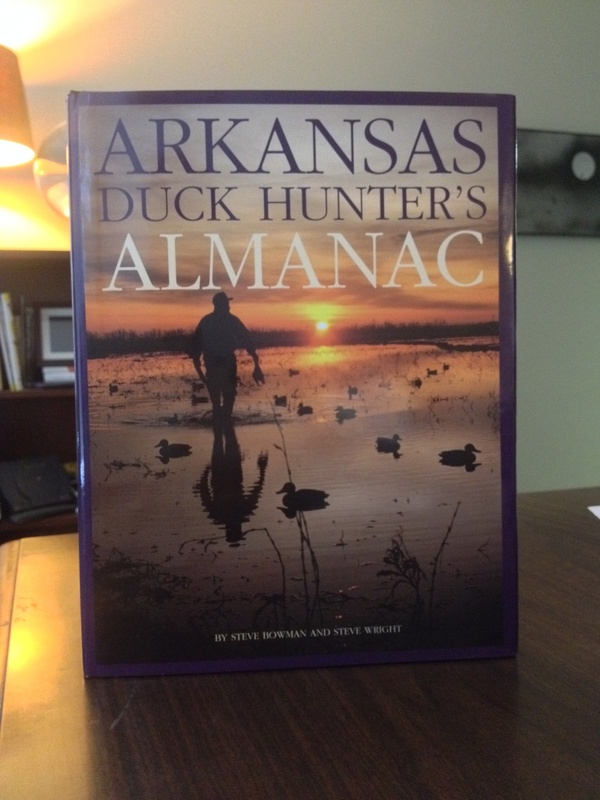 The Almanac goes on to say "More mallard ducks winter in Arkansas than any place else in the world..."
Arkansas contains one third of the 24 million-acre Mississippi River Alluvial Plain, better known as the Delta. No other state has more. The renowned waterfowl biologist Frank C. Bellrose once referred to the Delta in Arkansas as "the heart of the ancestral mallard wintering ground." So since Mallards like the Delta, there's a lot of Arkansas to like! Next let's consult the U.S. 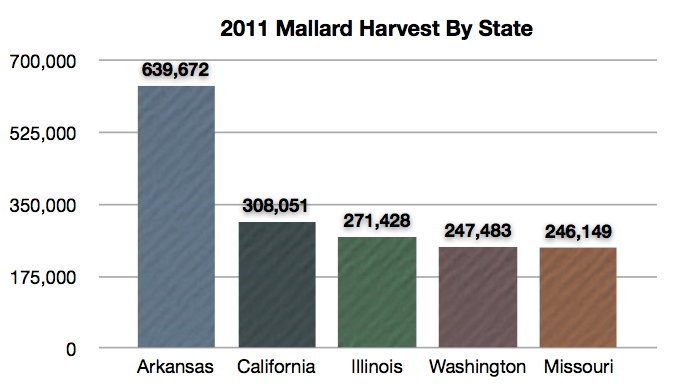 Fish & Wildlife Service: today as ever, they report that Arkansas is the top state in the nation for harvesting Mallards. Arkansas duck hunters reported harvesting 639,672 Mallards (see page 13) in 2011, more than TWICE as many as the second-place state (California)! We shoot lots of different ducks at Three Rivers Duck Club, but most seasons, we shoot more mallards than any other kind of duck. Though it's certainly not the only food source for ducks in Arkansas, The Almanac calls it a "bonanza for ducks and hunters." In addition to providing a food source, flooded Rice fields provide perfect wintering habitat for ducks. Arkansas grows more Rice than any other state in the Union, and roughly three times more of it than its next-largest competitor state. As luck would have it for us at Three Rivers Duck Club, our home base, Poinsett County, is the leading rice-producing county in the Arkansas! The Almanac tells us that Mallards are a particularly adaptable species of waterfowl... While they learned to feed on rice to replace the food sources of their once-abundant forest wetlands, they have also learned to thrive on soybeans, corn and milo. Most recently, Mallards have even been learning to eat peanuts! Duck hunters don't need scholarly books to know that the people of Arkansas are it's most wonderful natural resource. At Three Rivers Duck Club, we have relied on the kindness of friends who make Arkansas their home as long as we've hunted there, and it's hard to imagine a place where duck hunters can feel more welcome.